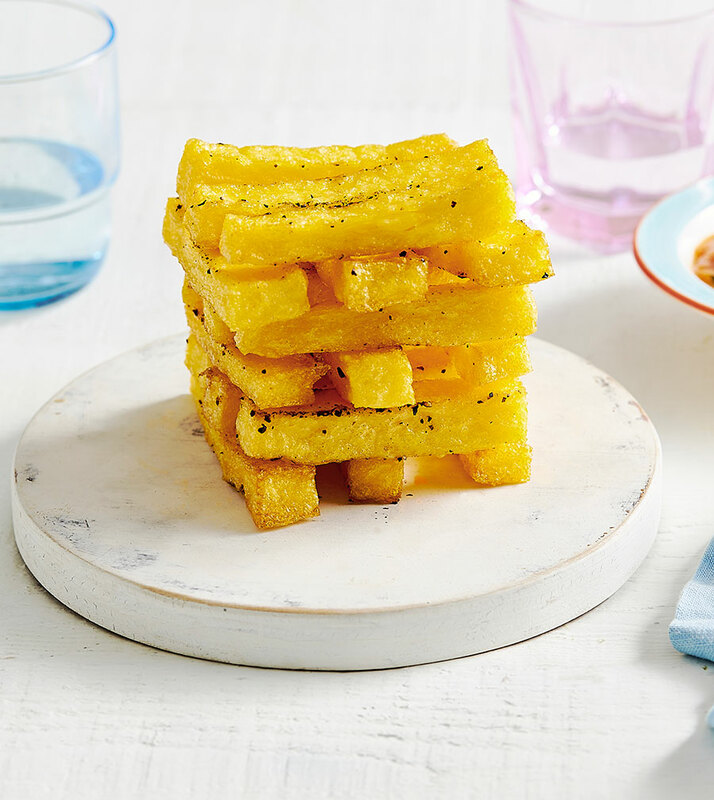 These polenta chips are an easy low GI and low fat alternative to traditional potato chips. Pour water into a pot and bring to a boil. Pour in polenta and whisk. Cook for 15-20 mins, whisking occasionally. You may need to add more water if it gets too thick. Once cooked, let the polenta cool a little before spreading it in a thin layer on a baking tray lined with baking paper. Chill for at least an hour or overnight. 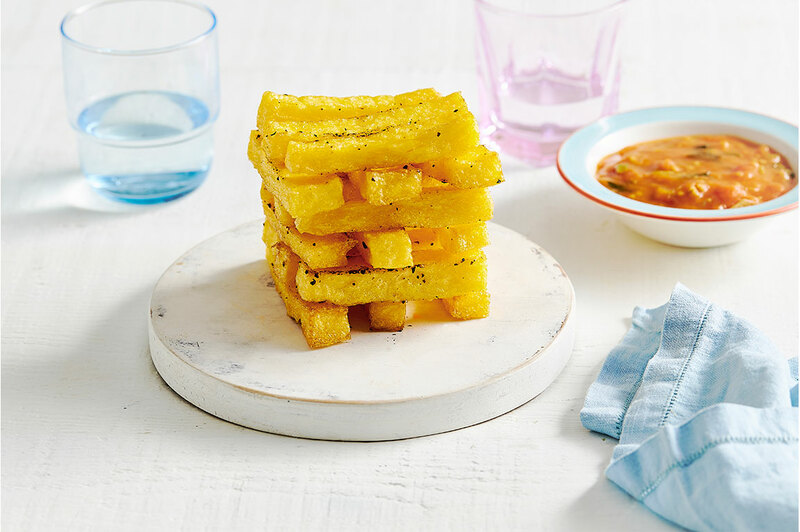 Cut polenta into strips that resemble fries. On a separate tray lined with baking paper, place each strip 1-2cm a part. Drizzle with olive oil and season. Bake for 40 mins, flipping after 20 mins. 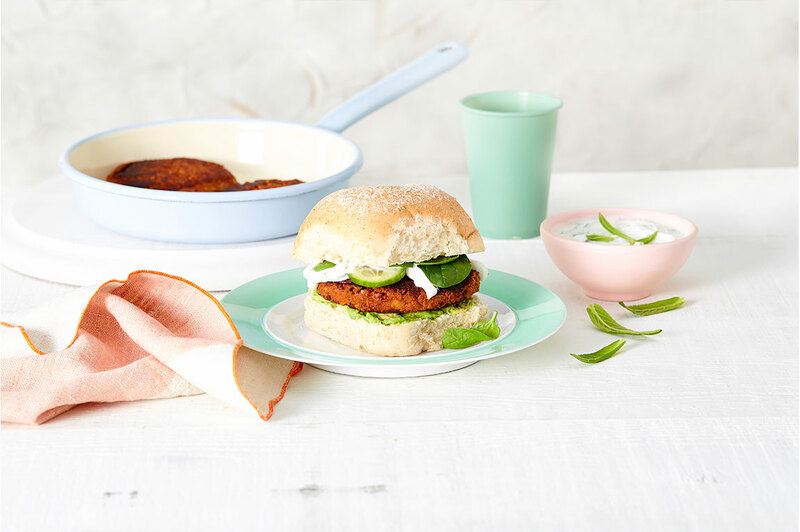 If you want to make them crispier, bake for another 10 mins!